When Glenn reveals to the group that walkers are being kept in the barn, Rick discusses the matter with Hershel, also trying to convince him to let the group stay, especially since his wife is pregnant. Meanwhile, Dale tries but fails to hide the group's guns in the swamp. Hershel asks Rick to help him recover some walkers stuck in river mud, and tells him that his group can stay so long as they do not shoot the walkers . As they return, Shane sees the captured walkers and goes berserk. 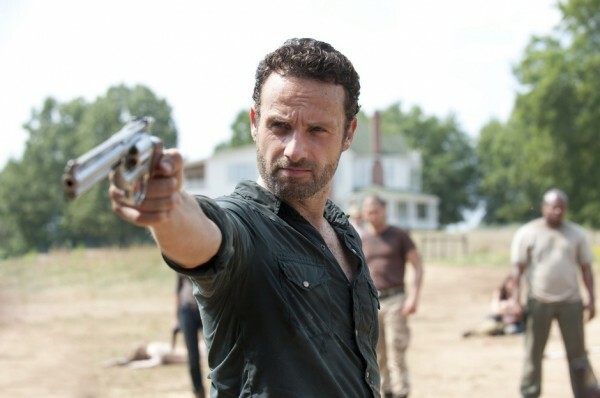 He breaks open the barn door, forcing the group to shoot all the walkers inside, including the missing Sophia. Whole or part of the information contained in this card come from the Wikipedia article "The Walking Dead (season 2)", licensed under CC-BY-SA full list of contributors here.